Religious Judaic Jewelry - This is a classic 14K Yellow Gold Star of David pendant with a Chai (translates to 'life' in Hebrew) in the center. 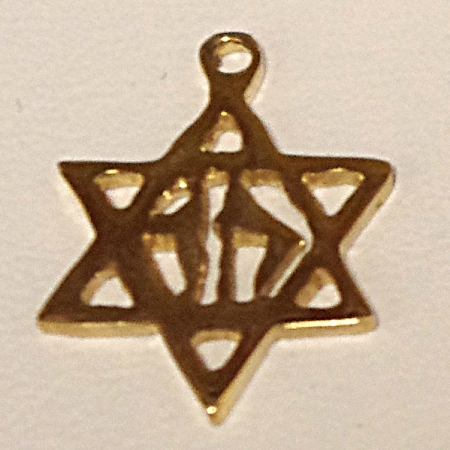 This Jewish Star charm is small size and comes ready to hang on your chain. 14K gold star of David with Chai in the center. Chai is translated from Hebrew to mean Life. Includes a 14K gold loop.